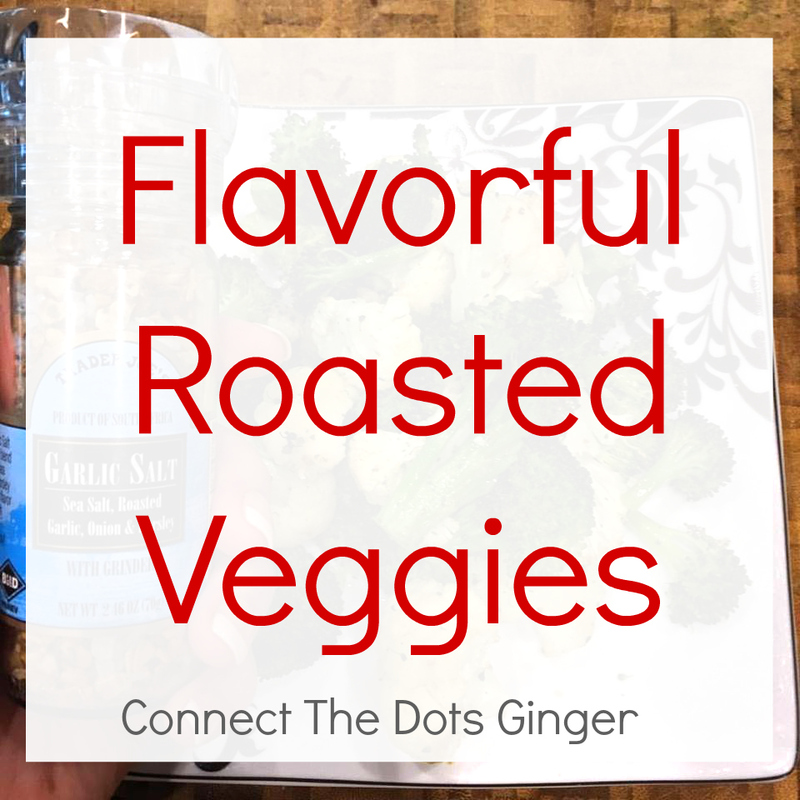 My current favorite way to enjoy veggies is ROASTING THEM! And when I add this Trader Joe's Garlic and Sea Salt seasoning that you can get at your local Trader Joe's or even on AMAZON on them it takes them over the top yummy! Choose which fresh veggies you want to roast, combine them too and you decide how much! Spread veggies of choice on a parchment lined cookie sheet. 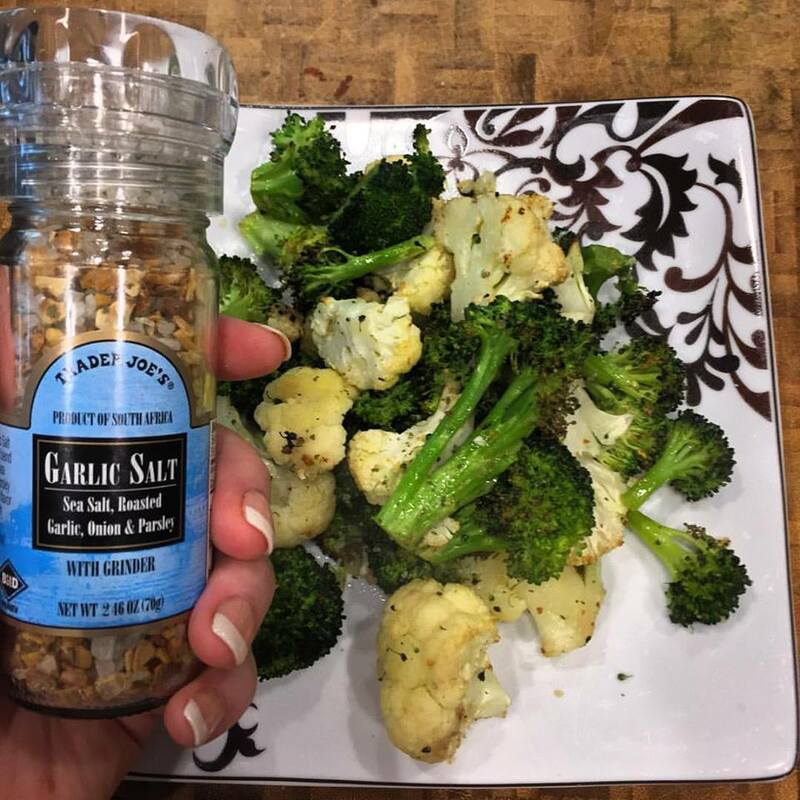 Add a few cracks of TJ's Garlic Salt seasoning and toss to evenly coat your veggies. Roast in a 425 onion for 10-15 minutes. Keep an eye on them to make sure they are at your preferred doneness (I like them al dente and not squishy) and enjoy! Follow me over at Instagram and Instagram Stories to get more tips and how I fit living a healthy lifestyle into my daily life! Want more daily motivation and inspiration? Click here get free daily advice, support, motivation, encouragement + a free copy of my Clean Eating guide to help you get started on your health and fitness journey! Are you following my INSTAGRAM yet? Check out my stories and feed to see how I fit a healthy lifestyle into my busy mom life!